I decided to give the Imagecraft Bootcamp low-key exercise a shot. 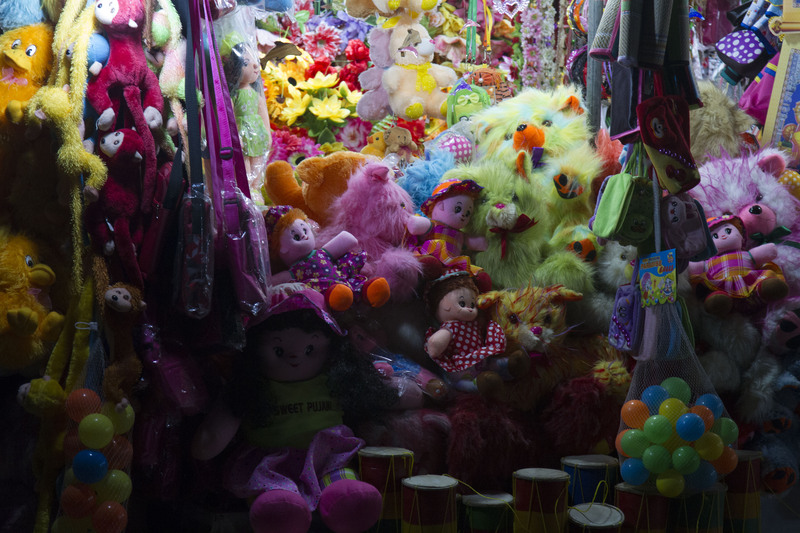 The original color image shows a toy booth at the night market near the Buddhist temple in Katagrama, Sri Lanka. I used camera raw to make the adjustments. 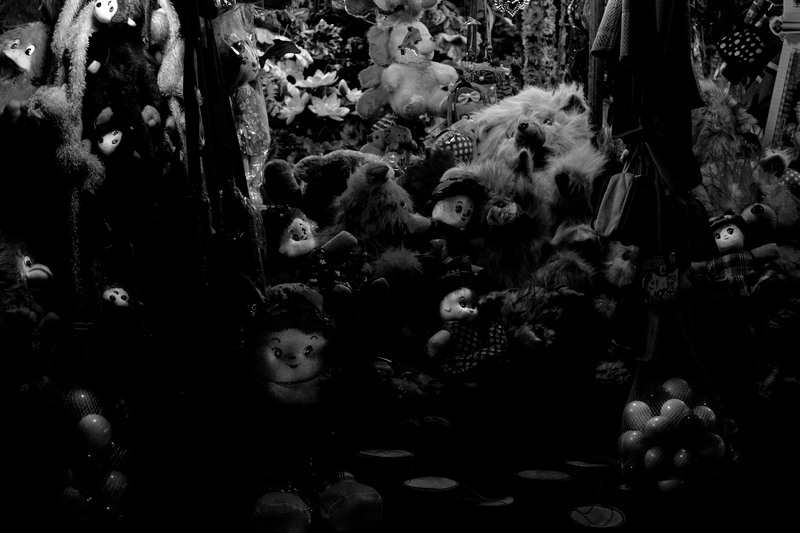 After converting the original to black and white, I played with the tone curve. I also decreased the intensity of several colors, especially purple (which I moved to zero) and magenta, to create more solid dark spaces. I used the adjustment tool to highlight some of the eyes and faces and the plastic balls. I still wanted to more solid black areas so on the main adjustment menu, I reduced the blacks and increased the shadows. I upped the clarity to 30. Is this what I should have aimed for? Hi Marie, thanks for joining the Imagecraft Bootcamp. It is a pleasure to have you joining in the fun. Have you also joined the group on Flickr? It is nice to join as there you get comments from the other participants as well. I’m not an expert but I like your photos.